Vintage Gwen: Show & Share #8 & Features! 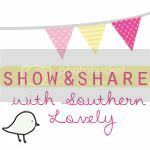 Welcome to Show & Share #8! What another amazing party!!! 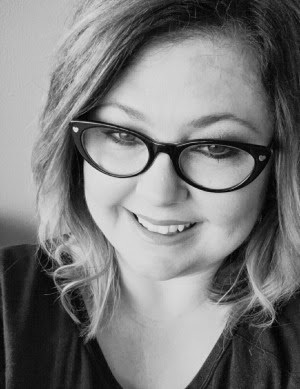 This is my first fall as a blogger and you guys are making me even more excited to get out the decorations!! I was having trouble deciding if I was going to decorate or not since we are trying to sell our house but it's so hard to not be inspired by all you gals!! So it's on the to do list for the week!! This is a deconstructed Caramel Apple!! So fun and great if your counting calories!! I'm having to contain myself over this!! 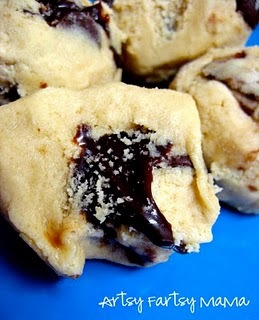 This is a safe way to eat cookie dough!! I love the glamminess of this!! I love the vintageyness of this one!! This is a great, fun way to remember to take care of our 'racks'!! I love that Karen made it in support of her mom who is overcoming breast cancer right now and that it will double as a wig/scarf holder! Awesome job ladies!!! Please grab a button to the right!! I'd love for you to enter my 150 'Fall'ower Giveaway HERE!! Hi, Gwen! Happy to be linking up this week! Thanks for the party! 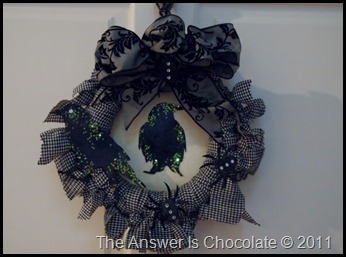 Thank you for featuring my Halloween glam wreath! I love all the other features too! Well done everyone!